GET A FREE SAMPLE COOKIE AT THE BAKERY. SEE HOW LONG YOU CAN WALK ON THE BLACKTOP WITHOUT RUNNING TO THE GRASS. 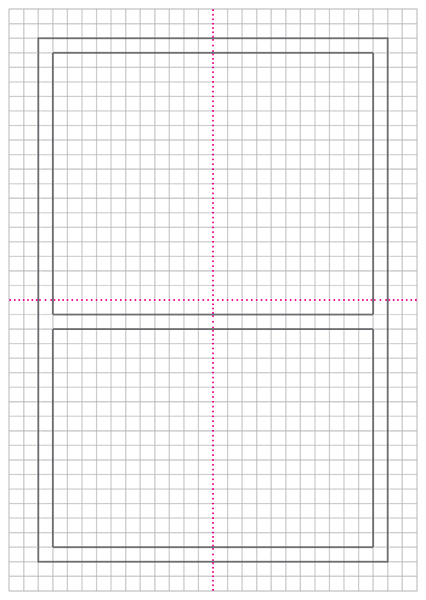 + The grid used is the actual grid of the notebook page; 40 rows and 28 columns, where each cell is 1 unit high and 1 unit wide. 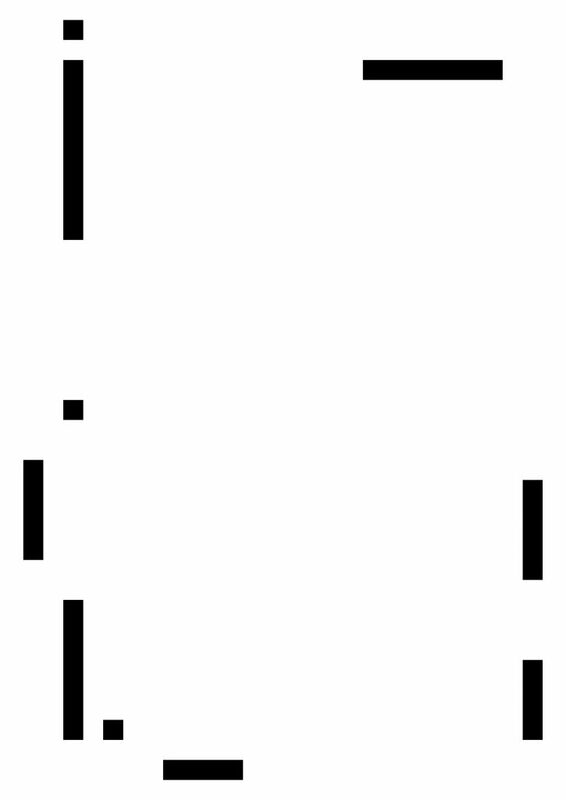 + A stylized shape of the number 8 was depicted (24 units width and 36 units height) to the page of the notebook, with a line of 1 unit thickness. 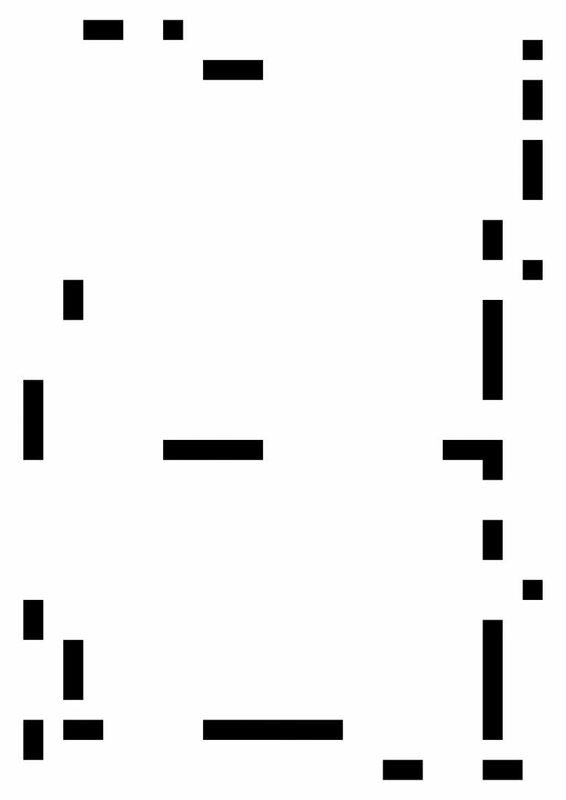 + I did try it with walking on the blacktop, but it was somehow not exciting enough to be useful for this image, thus ‘walking a line’ was turned into ‘drawing a line’. 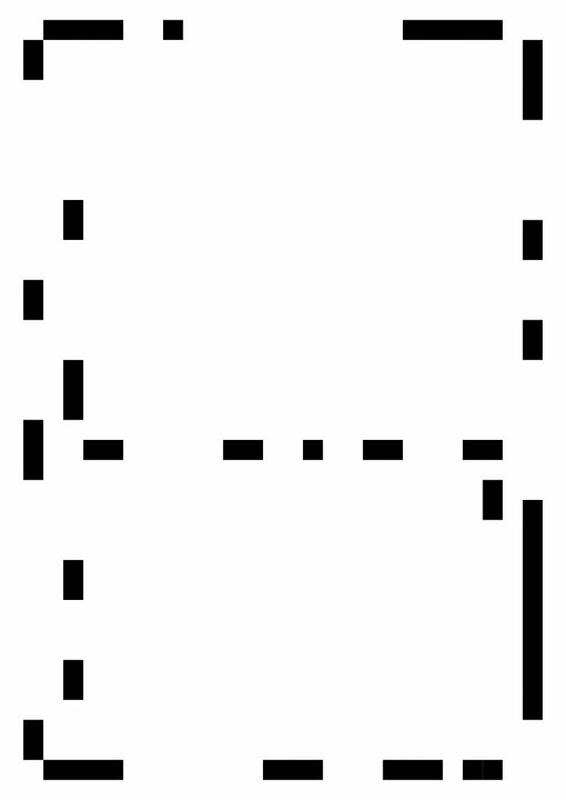 + THE final image shows all those points (cells) left and/or right from the path outline where my line touches or crosses this outline.